As the annual tradition of preparing your fishing boat nears, it is important to make sure that you have everything ready to go when time comes to launch. If you follow this checklist, you will be sure to minimize the likelihood something gets missed and your adventure gets off to a rocky start. Before getting too far down the Prepping You Boat Checklist, make sure that your vessel registration is up to date. This process can take a time to process, so make sure you initiate the process early. It is likely that the jurisdiction controlling your favorite fishing hole requires a registration fee to be paid to use the water. Remember, you will likely get a sticker for your vessel as proof of your registration, so be prepared to apply it immediately so that it is not misplaced. 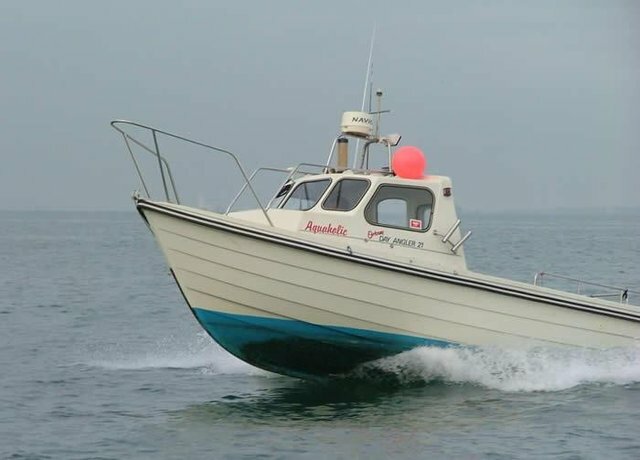 When you’re out on the water, your boat is your only means to safely return to land. Make sure it is in good repair by doing periodic inspections. These inspections are very important after lengthy bouts of storage. Begin by doing a visual inspection of your boat while it sits out of the water. Look over the inside and outside of the boat. You want to look for any cracks or holes in the hull. If any are located, you will need to get these repaired immediately if you have any desire to head out on the water. Leaking hulls can be catastrophic and will quickly sink any fishing outing. Also keep an eye out for any rusting metal parts, including rivets, fittings, and snaps. Replace those that are rusting and protect all others with a lubricant. You will also want to inspect the drain plug for damage and confirm the seal is watertight. Before leaving your driveway, take the motor on a test drive and make sure your boat’s engine is running properly and all preventative maintenance is up to date. Follow the recommendations from your boat manufacturer. This is a good time to consider having your entire vessel inspected professionally for a confident peace of mind. You can see what a typical professional survey would cover by visiting this sample survey from AllBoatsSurveys.com. Personal Floatation Device(s) – Many jurisdictions require by law that one personal floatation device (PFD) must be onboard for every occupant of the vessel. While not usually required to be worn at all times, except for under a certain age, there must be one available for all. Check the devices for sizing, wear and tear, expiration, and damage before depending on them to save a life. Replace as needed. Regardless of whether it is the law or not, having PFDs for each and every passenger is a wise habit to get into. Fire Extinguisher – Whether required by local regulations or not, a charged fire extinguisher should be aboard every water craft. Should an engine fire break out, a fire extinguisher may be your only line of defense, as help is often a long way away. Make sure the extinguisher is charged and certified ready-for-use. First Aid Kit – As mentioned above, professional rescuers and medical care can be minutes away when seconds count for your safety. Be prepared for medical emergencies that happen out on the water by keeping a well-stocked first aid kit handy. Have items available that can treat a wide array of the potential accidents that can happen, including lacerations to broken bones. Make sure all your onboard lights are functioning properly, as you do not want to be stranded in the middle of the lake at night with a blacked out boat. Check your front and rear navigational lighting and any other lighting instruments that you rely on during darkness. For more information on required lighting, you can learn more on BoatUS. Along with safety lighting, make for certain that the vessel has some type of signaling device in the event of an emergency or low visibility conditions. Options include, but are not limited to, an air horn, whistle, flares, or flags. Stock the boat with rope for many needs. Every boat needs this versatile piece of equipment. Whether you are using it to tie off to a dock, or dropping anchor in your favorite fishing hole, rope is a necessity. Should you have an engine malfunction, or your vessel becomes disabled somehow, a lengthy piece of rope will give you the tools you need to be towed back into shore when you get left stranded without power; or you may be the one who saves another stranded boater. 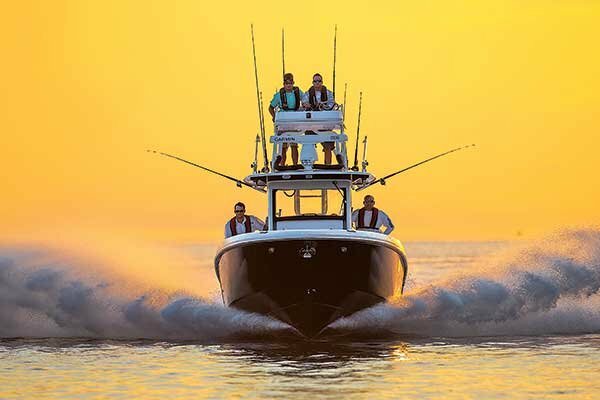 As technology advances, so does the options for communication while out on the water. Whether you opt to use a cellular device, HAM radio, or a CB radio, make sure you have some communication device, which will allow you to seek assistance in the event of an emergency or distress situation. With all the energy spent preparing your boat for your outing, do not forget to bring along all the fishing equipment you will need for your trip, including rods, tackle, and fishing nets. Nothing ruins a great day of fishing like forgetting your basic equipment. Find a safe place to store them onboard and never leave home without them. Last, but not least, do not forget to fill up your boat with fuel. After all the hard work prepping your boat for deployment, the last thing you want to do is launch with an empty gas tank. Top off the tank before you head out to make sure you are not forced to quit early or take a lengthy break from your fishing trip to refuel.